City of Bristol SC took the first team title of the ASA National Synchronised Swimming Champs, and their second gold of the opening day, with a fantastic routine in the Free Combination. The 2014 British silver medallists scored 73.2333 to take the gold medal ahead of Rushmoor Synchro SC (69.0667) and Reading Royals (65.333). “That felt really good,” said Bristol swimmer Bryony Dale. “Our lifts were so strong which is something that we knew we had to pull off. Bristol opened their fast-paced routine with an eye-catching start and went on to perform a well choreographed set with a number of surprise elements, all to music from Phantom of the Opera. Last year’s British champions Rushmoor, performed a magical routine to music from Harry Potter for silver. Meanwhile, Reading Royals brought their Constantinople theme to life with a fast-paced, energetic routine that won them bronze. City of Bristol performing their Free Combination routine at the 2015 ASA National Synchronised Swimming Championships. City of Birmingham performing their Free Combination routine at the 2015 ASA National Synchronised Swimming Championships. 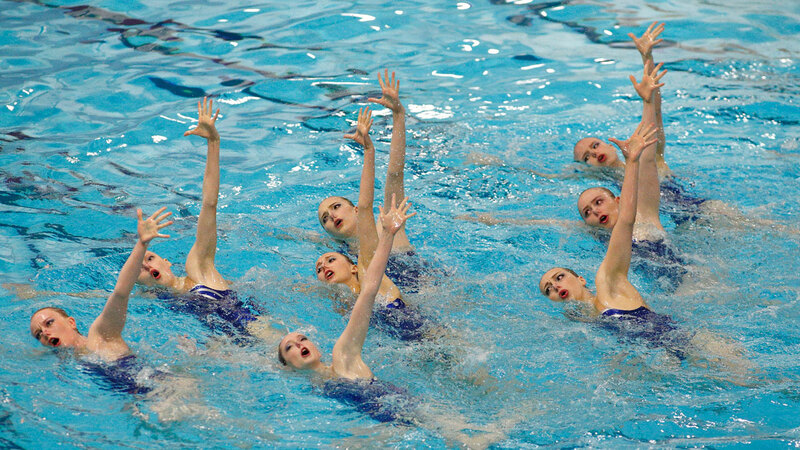 England performing their Free Combination routine at the 2015 ASA National Synchronised Swimming Championships. Rushmoor performing their Free Combination routine at the 2015 ASA National Synchronised Swimming Championships. 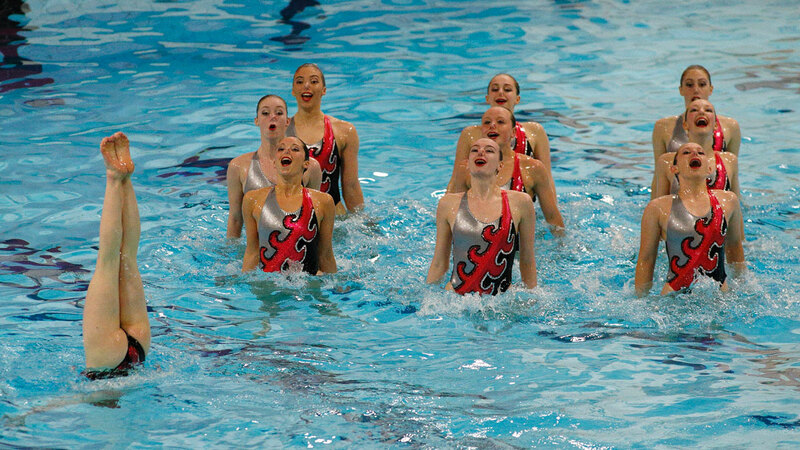 City of Salford performing their Free Combination routine at the 2015 ASA National Synchronised Swimming Championships. Seymour Synchro performing their Free Combination routine at the 2015 ASA National Synchronised Swimming Championships. Stockport Metro performing their Free Combination routine at the 2015 ASA National Synchronised Swimming Championships. Rugby SC performing their Free Combination routine at the 2015 ASA National Synchronised Swimming Championships. 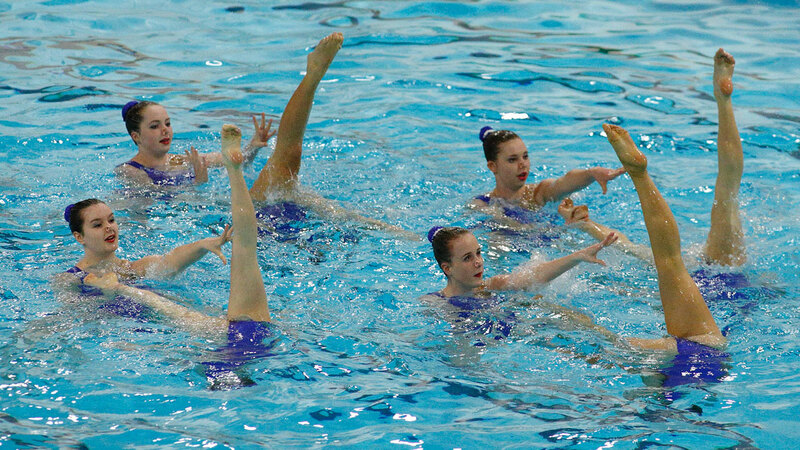 Reading Royals performing their Free Combination routine at the 2015 ASA National Synchronised Swimming Championships. The England Talent team picked up the international gold medal with a great performance of their ‘Toys’ routine. With great support from the crowd, they scored 78.0667.